The International Consumer Electronics Show (CES) is a major technology-related trade show held each January in the Las Vegas Convention Center, Las Vegas, Nevada, United States. It's also one of the world's largest consumer technology trade show that features 2700 exhibitors, including companies who manufacture products for the present and the future generations which includes the cell phones. Though many mobile phones have been announced at the Consumer Electronics Show 2012, but only some phones have managed to catch our attention. So here is our pick of top 10 mobile phones at the CES 2012. Lenovo K800, unveiled at the CES, is the first Intel-powered Medfield phone. 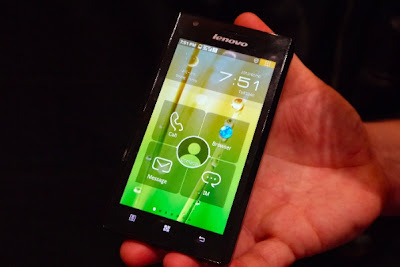 Running Android 4.0 OS along with Lenovo's LeOS, the phone features a 4.5-inch a TFT display with 720p, and has a 1.6GHz Medfield processor. The phone is likely to be available in China in Q2, 2012. 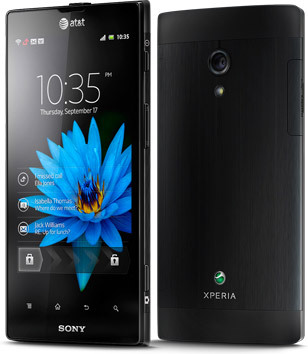 The Xperia S is said to be the first smartphone from the new Xperia NXT series – next generation smartphones from Sony. 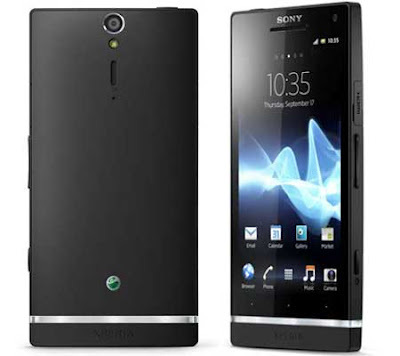 The new Xperia S is an Android smartphone that sports a 12 megapixel camera with 16x digital zoomand, and has a 1.5GHz dual-core processor for faster performance. The Xperia S is also NFC (near field communication) enabled to allow consumers to share content with each other as well as enjoying an increasing number of NFC applications and services. It has a 4.3 inch Reality Display with Mobile BRAVIA Engine with HD resolution screen (1280 x 720). It offers 32GB of internal flash storage space. Running Android 2.3 OS, the Xperia S will be available to consumers globally from the first quarter 2012. 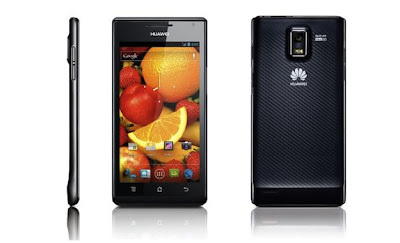 Huawei unveiled the Ascend P1 smartphone at the CES 2012. Its touchscreen is covered in Corning Inc's Gorilla Glass and runs on Texas Instruments Inc's 1.5GHz's multicore processor. The phone will be available in black, white and pink colours. The 6.68-mm thin phone will be available in April 2012 in markets from North America, Europe to Asia, said the company. 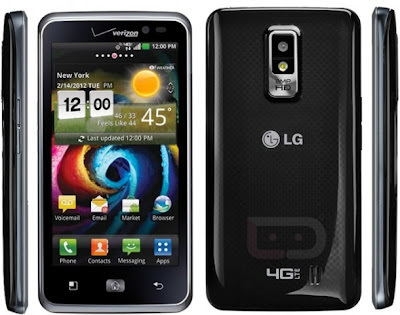 Powered by a dual-core 1.5GHz TI OMAP 4460 Cortex-A9 processor, the phone has has 1GB of RAM and 4GB of internal memory. The company will ship the Ascend P1 S with the latest Android 4.0 Ice Cream Sandwich operating system. 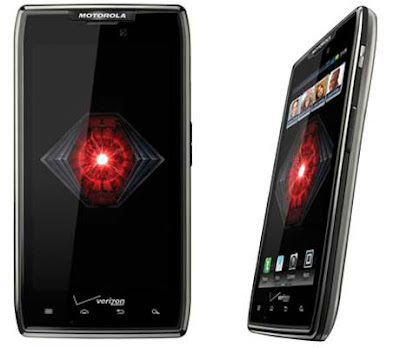 Verizon Wireless have unveiled the new DROID 4 smartphone by Motorola at the CES 2012. The device is touted to be slim at half an inch thin and is powered by a dual-core 1.2 GHz processor and 1 GB of RAM. The phone features an 8 megapixel camera with 1080p HD video capture and Mirror Mode to display images and video on an HDTV. Running Android 2.3.5 Gingerbread OS, it has a 4.0-inch qHD display with scratch and scrape resistant glass. The Droid 4 by Motorola will be available in Verizon Wireless Communications stores and online at www.verizonwireless.com in the coming weeks. The Nokia Lumia 900 was unveiled at the CES 2012. The phone uses AT&T Inc.'s new "LTE" wireless data network, for faster downloads. 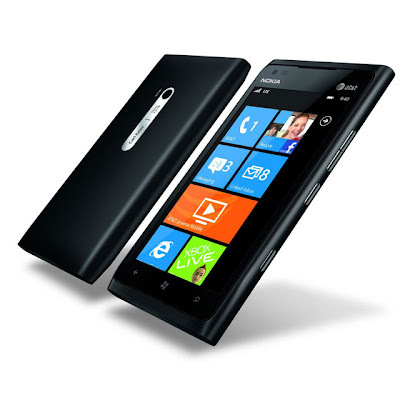 Powered by a 1.4 GHz processor, the Nokia Lumia 900 has a 4.3-inch AMOLED ClearBlack glass touchscreen. The phone sports an 8 megapixel rear camera and 1 megapixel rear camera. The companies said it will be available in coming months. HTC Titan II is the first LTE Windows Phone from HTC. The Titan II has a 4.7-inch super LCD screen, a 16-megapixel back camera, a 1.3-megapixel camera on the front for video calls and a 1.5 GHz Snapdragon CPU. The device will be available “in the coming months” to AT&T customers. The Xperia ion, the first LTE smartphone from Sony, will be available exclusively in the US from AT&T in the second quarter. It has a 4.6-inch HD display (1280 X 720 pixels). It is powered by a 1.5GHz dual-core processor. The phone offers 16GB internal flash storage. Sporting a 12 megapixel, it is said to be the first LTE smartphone from Sony, exclusive with AT&T in the US. The LG Spectrum is said to be available exclusively on Verizon from January 19 at a price of $200 with a two-year contract. 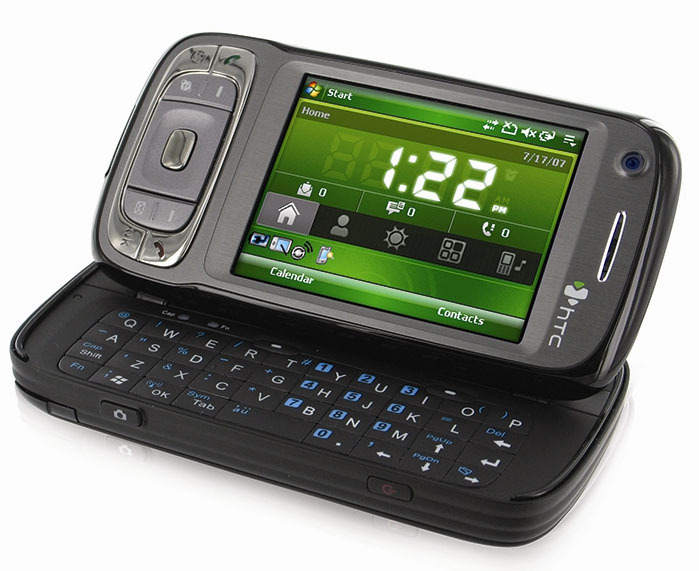 The phone features a 4.5-inch high-resolution display (1280 by 720 pixels), and runs Android 2.3 OS (4.0 upgrade is promised in second half of 2012)). Powered by a 1.5GHz dual-core processor, the phone has an 8 megapixel camera. The Motorola Droid Razr Maxx has been released for Verizon Wireless. It features a 4.3-inch 540x960 pixels Super AMOLED Advanced capacitive touch screen with 256 ppi pixel density. 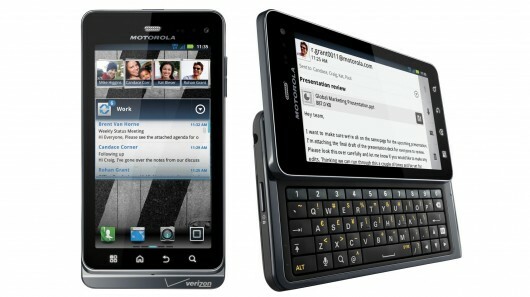 When compared to the Motorola Droid Razr, the phone has an extended battery life. The phone sports an 8 megapixel, autofocus, LED flash rear camera with 1080p video capture capabilities. IT also also has a 1.3 megapixel front-facing camera for video chatting. 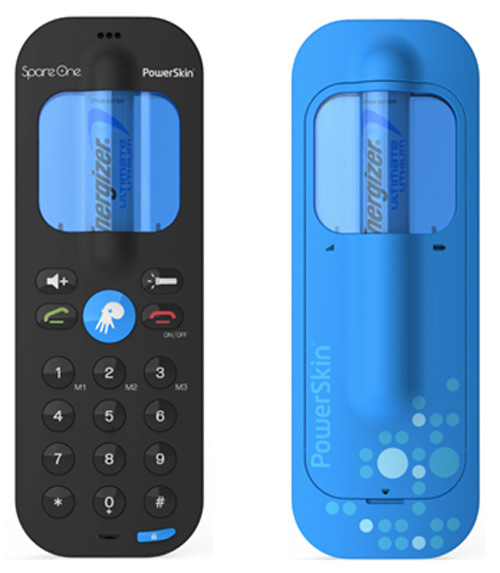 SpareOne's mobile phone comes with a battery life of 15 years, whether you charge it or not and is designed for emergencies. The new phone, unveiled at the Consumer Electronics Show in Las Vegas, is designed as a backup phone you can keep in the glove compartment for emergencies.